The mycological research in Khanty-Mansi Autonomous Okrug – Yugra stems from isolated studies in the beginning of the 20th century, but regular and systematic research dates back to the 70-80s. Over the following decades several dozens of researches worked in the area and a total of about 160 scientific works were published. Fungal Records Database of Yugra (FReDY) is a project to summarize the results of these studies. 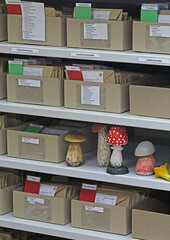 Presently, the database includes over 11 000 fungal records in the region, reported from 72 scientific publications (other publications are theoretical works or don’t have the reports of records). According to the database summary report, there are currently about 2500 species o fungi reported from different literature sources in Yugra. The richest groups are the Agaricoid basidiomycetes (31%), Lichens (33%) and Aphyllophoroid basidiomycetes (19%). The less studied groups are the Ascomycetes (8%), Myxomycetes (3%), Heterobasidiomycetous fungi (<1%), and Yeasts <1%). 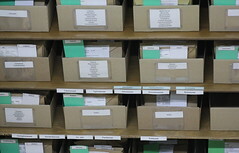 The FReDY database includes 23 fields describing species name, publication source, herbarium number, data of collection, geography, vegetation, substrate, and some other ecological features in DwC format. Карта распростренения находок грибов по данным FReDY на 2017 г. Карта сделана И. Филипповым в QGIS, кластеризация точек проведена в радиусе 20 км, шаги шкалы выбраны вручную после построения гистограммы распределения частот. Map of fungal records in FReDY for 2017. The map was made by Ilya Filippov in QGIS, clustering of points was made within a radius of 20 km, the scale breaks were selected manually after plotting the frequency distribution histogram.